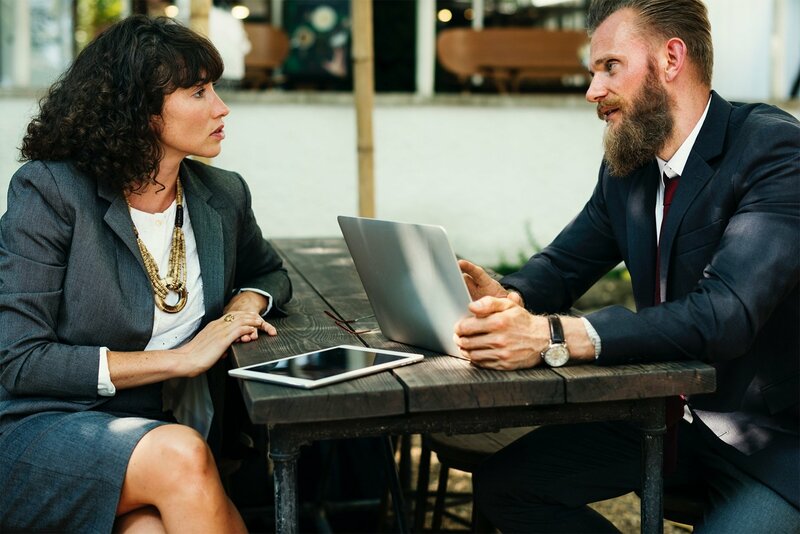 Interoperability is the ability of two or more systems or components to exchange information and to use the information that has been exchanged. 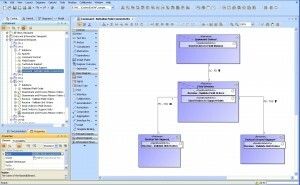 Cameo Inter-Op has been developed to allow MagicDraw and other products to communicate with each other and share data. It is a part of the No Magic's Cameo Suite. 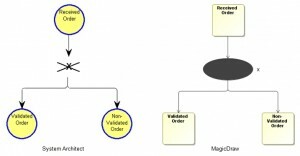 What are the advantages of such interoperability tool? It eliminates cost of change (purchasing, training, work habits...). 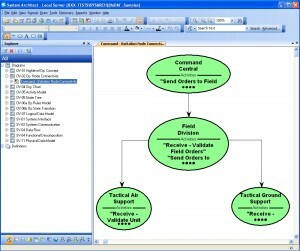 The most suitable tool is used for a specific activity. Developers are focused on projects and not on tools that they have to learn. 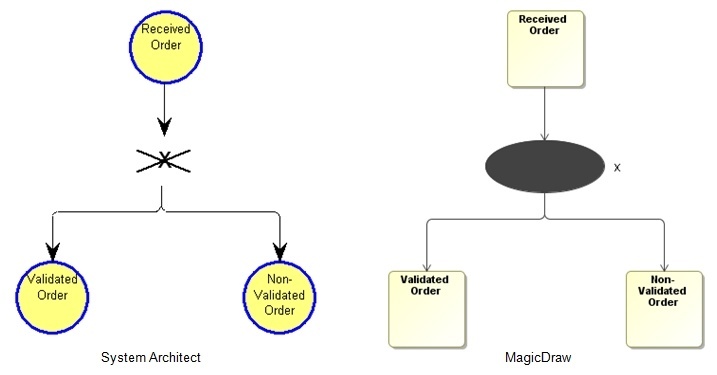 It harmonizes the design process - separate domains can be synchronized. 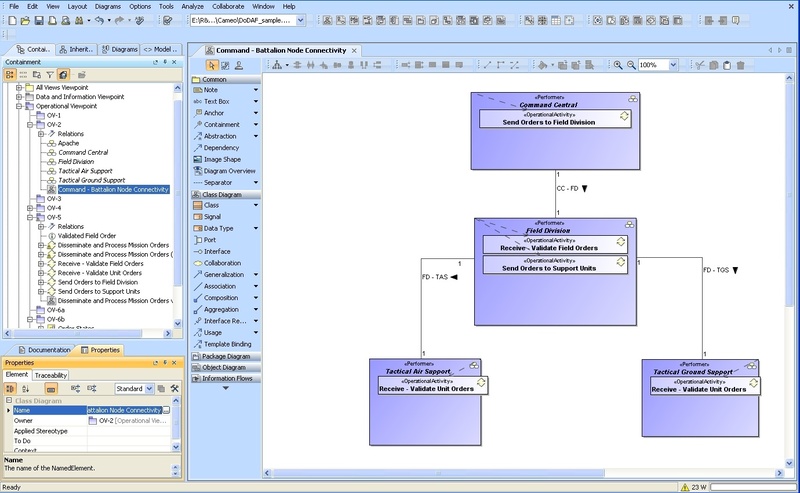 Cameo Inter-Op enables the exchange of models between applications. 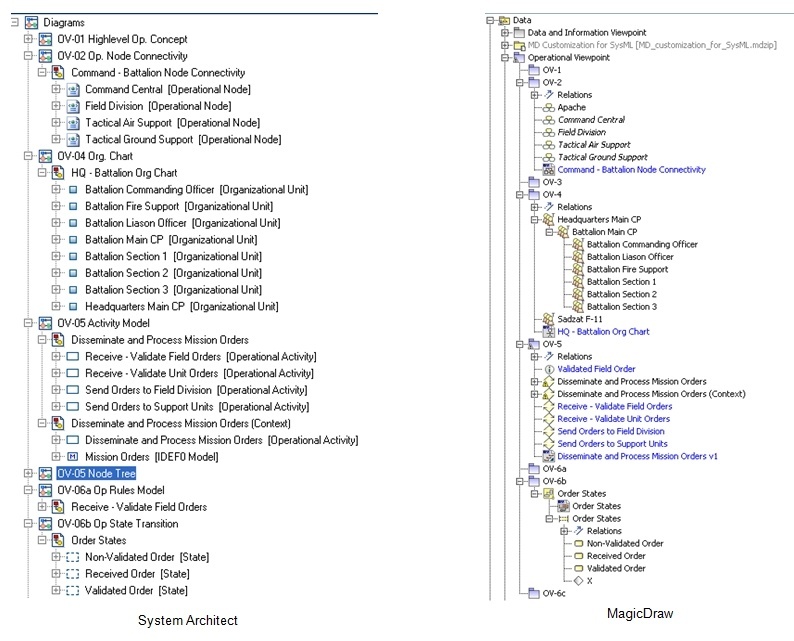 In this example, we will highlight the bi-directional bridge between MagicDraw and IBM Rational System Architect. In Cameo Inter-Op, System Architect to MagicDraw service is accessible under the Import into MagicDraw category. 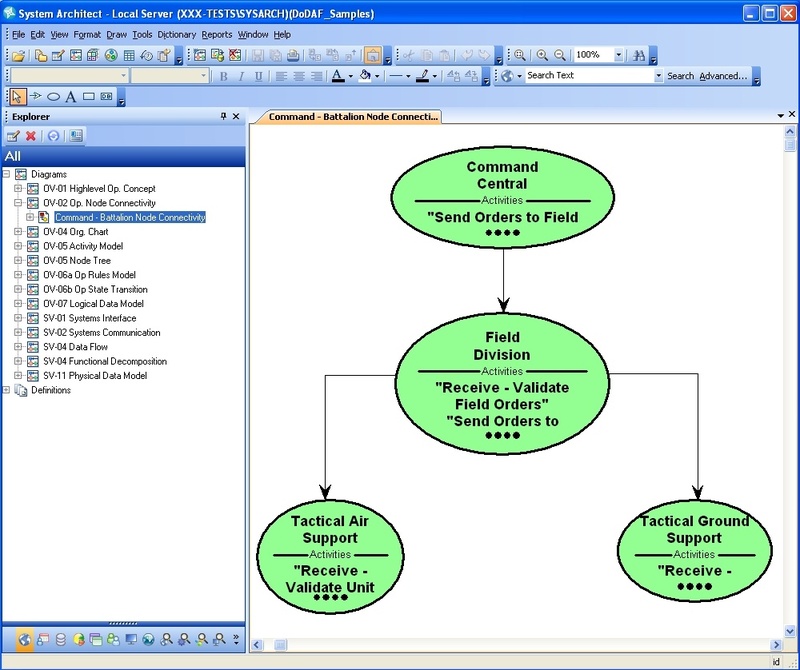 The System Architect model is read from the current encyclopedia opened in System Architect. 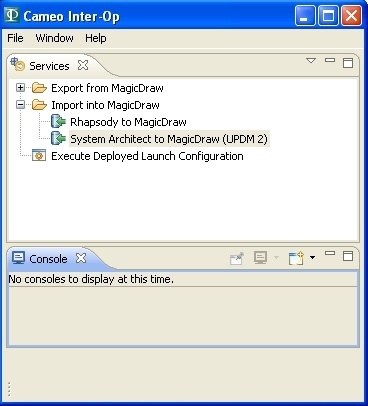 Once the transformation is finished, the mdxml file created can be opened in MagicDraw. ...as well as the diagrams. 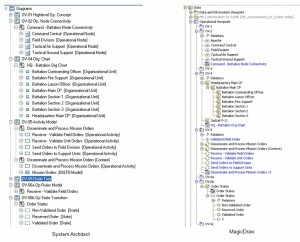 Note that it is also possible to customize the mapping rules between the tools using No Magic's Cameo Workbench, or to development completely new mapping rules between other applications.